In a new series of posts we will bring you stories of how businesses leverage Commun.it to manage and scale-up their communities on Twitter. In a new series of posts we will bring you stories of how businesses (ranging from one person shop to companies) leverage Commun.it to manage and scale-up their communities on Twitter. This week the spotlight goes to Sheer Ganor and Carolina Aviv, Wix Community Managers. Wix is the world-leading Flash website builder, with almost 9 million sites created using their platform. Sheer and Carolina’s job is to cultivate a growing community of artists, designers and business owners that build and manage their web-sites using Wix. Identify opinion leaders and active users from within the current followers’ base. With 15K followers for the @Wix account, and 1K followers for @MundoWix, they wanted to focus on growing awareness, engagement and reach in their respective communities. Following are Carolina’s and Sheer’s impressions from using the Commun.it’s free product. Recent and Prioritized is Commun.it’s starting panel. It’s like a Facebook feed, but with business goals in mind. This is your homepage in Commun.it Dashboard. With this list, you don’t have to go searching for mentions or retweets. In one click you get all the latest interactions, relevant and addressed to you, prioritized by your highest-value relationships. We’ve found it very useful. Each of your members in Commun.it gets a profile panel. Besides the expected stuff, the juicy part in the profile is the Recent Engagements section, which traces back the history of all your interactions with the member. When you click on a member in Commun.it dashboard, you get a summary of all your interactions with him. It is so cool to be reminded of what sort of follower you are dealing with when you need to engage. The summary informs you about member’s engagements with you (e.g. 1 reply, 1 mention) and your own engagements with the member (e.g. 2 replies). Top influencers show only those that engaged you in the last 3 hours or 3 days – these are power tools to identify high-value relationships. Categorizing our Twitter members into Most-Engaged, Supporters and Influencers, Commun.it helps us to map our followers, investigate our interaction with them and learn more about the way they use Twitter. Starring members – kind of like starring a Gmail mail – allows you to make a list of the followers you are interested in, making it easier to build a relationship with them. Often people mention your website without including your Twitter username, and you miss these great opportunities to connect with your fans. This is where Leads by Mention comes in handy. This feature shows you all the people that mentioned your website or retweeted you recently. You can monitor up to two websites. This is superb. Leads by Keyword is a more proactive way to discover leads. You enter a keyword (i.e. artist or designer) and a get a list of people from your social circle, with this keyword in their bio. It also continues to monitor for new people, even when you sleep. This is very helpful. It’s great that we can consider whether to follow leads or not by estimating their level of engagement. We were able to find many relevant users with this feature. Commun.it suggests Twitter users for us to follow or unfollow, based on the our level of involvement with them. This is of course very helpful, since the limited features on Twitter doesn’t provide us with the proper tools to do that ourselves. These are simple tools that can be found in other Twitter services. Nevertheless, their addition complements Commun.it perfectly. Consider to Unfollow and New Unfollowers features are similar to the familiar services “Just Unfollow” or “Who Unfollowed Me”, but these have a restriction on the number of members you can unfollow in one day (if you are not a paying customer, of course) and Commun.it lets you unfollow as many people as you want per day! 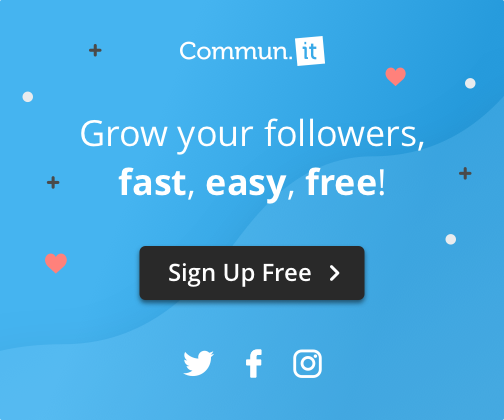 In short, by using Commun.it, we were able to discover vital information about our followers and about our engagement with them, as well as about potential followers and their Twitter patterns. This is a fantastic way to monitor an organization’s activity on Twitter and to further develop this activity in order to gain a larger and loyal fan base. Seeing how professional community managers use Commun.it, has taught us a lot about our own product. Huge thanks go to Sheer and Carolina for sharing their insights with our community. Sign-up to get a free Commun.it account in no time. If you have been using Commun.it, send us your impressions, and we will gladly publish them. Sharel is the CEO & co-founder of Commun.it, a unique relationship management service for social media. He's passionate about people, building relationships and entrepreneurship.